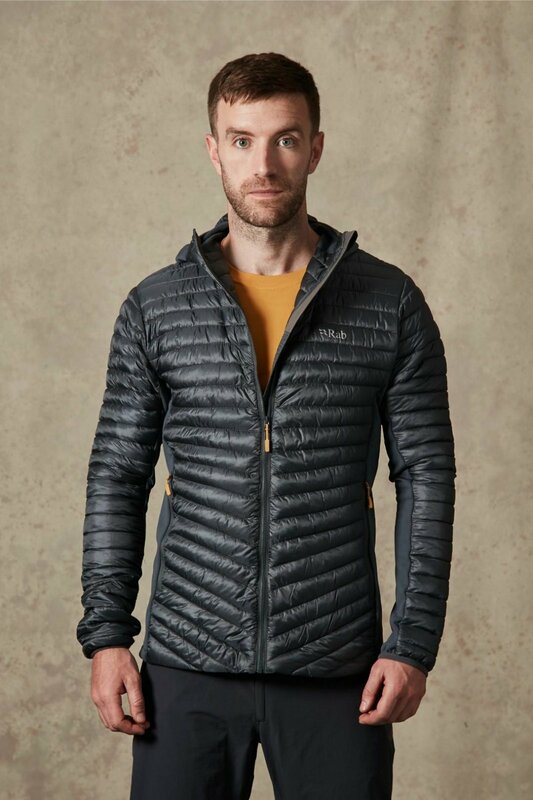 Worn as either a lightweight outer or warm midlayer, the Cirrus Flex Hoody is incredibly versatile, offering durability, breathability, and freedom of movement for any winter adventure. Filled with synthetic Cirrus™ Featherless insulation, the Cirrus Flex Hoody works to balance and regulate temperature. Designed to ensure you don't overheat when you're moving or get cold when you stop, the Thermic™ stretch fleece panels offer excellent flexibility and exceptional breathability. The Cirrus Flex Hoody is made with durable Hyperlite™ rip-stop outer and lining fabric, which sheds water and is quick-drying. The left pocket doubles as integrated stuff sack so it packs away neatly when you're on the move. Featuring a low profile, under-helmet hood, fleece lined chin guard, and front zip with internal storm flap to for that extra comfort and protection. The hardworking Cirrus Flex Hoody is designed for long mountain days and year-round active use as part of a layering system.